Lucía Vaieretti grew up in Mendoza where her family has tended vines for more than 40 years. She worked in vineyards with her parents, brothers and sister when she was young. That was the foundation of her deep, and joyful, bond with Mendoza’s high desert vineyards. “Even then,” Lucía says, “I knew we were in a special place. Lucía attended Don Bosco, the most prestigious school of viticulture and enology in South America. She’s been making wine for 12 years, much of it with Alamos, and took over as head of winemaking at Alamos in 2016. 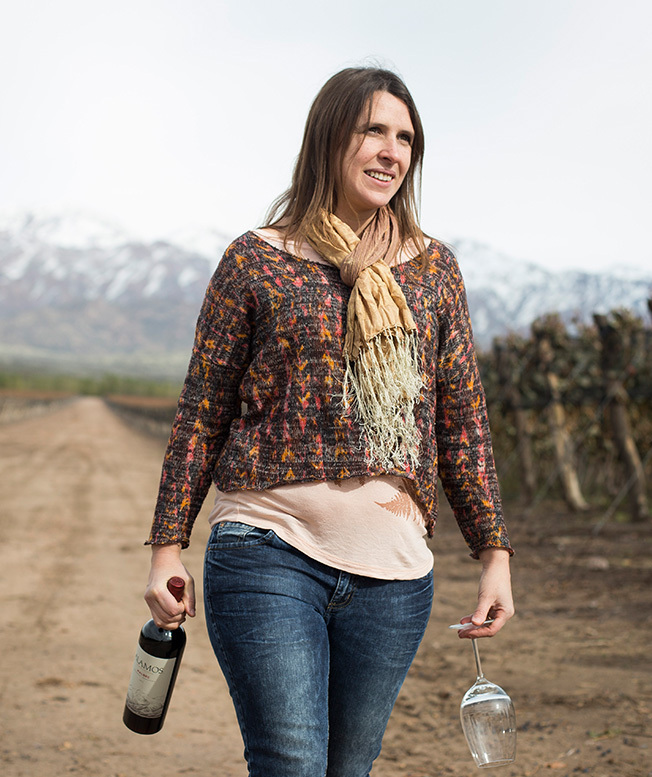 Lucía lives in Mendoza’s Uco Valley with her husband, Rodrigo Calatayud, who is also a winemaker. They have four young daughters and tend their own vineyard. “I love that my daughters get to grow up as I did, connected to the vines and our land,” Lucía says.